Artist Jean Shin is doing a site-specific installation for “One Way or Another,” opening June 18. For her work she is using sweaters from Oahu’s Asian community. 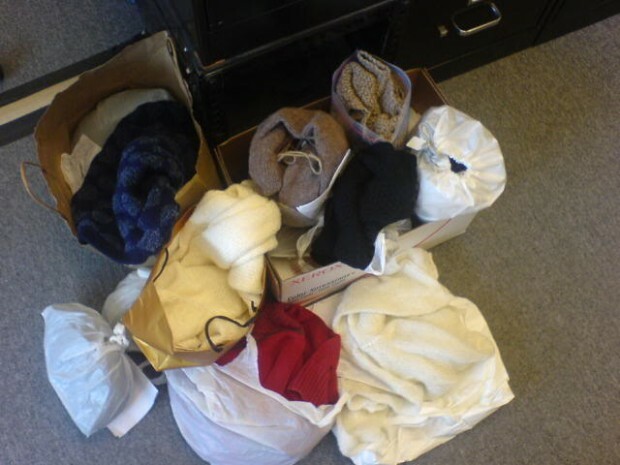 I put the call out, collected them—that’s the bagfuls of wooly wear above—and today I ship them off to Jean. 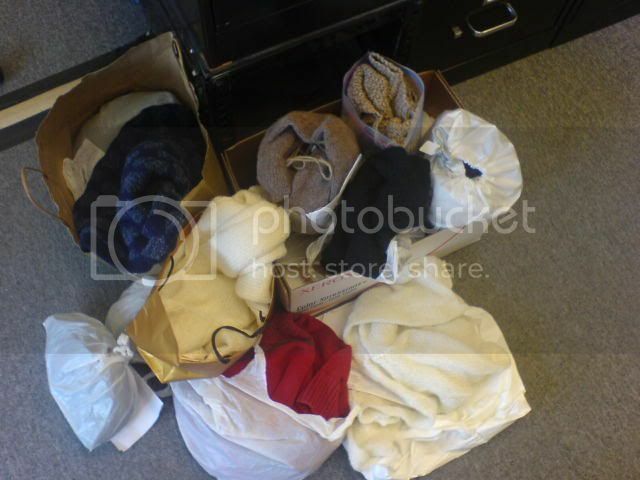 Thanks to all of you who donated sweaters! Check out the earlier incarnations of Jean’s project. i bet it’ll be soft and snuggly.